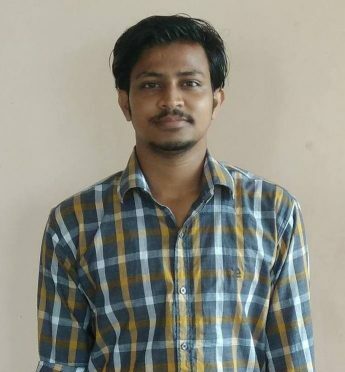 About the Author: Saurav Solanki, a student of Central University of Karnataka, shares how an online training laid the foundation for an internship in web development. During my second year, I was browsing the Internshala website for an internship. I discovered that most of the internships intended for engineering students were either in web development or app development. I decided to go for web development on account of the ever-increasing opportunities in the field. The only problem was that I knew nothing about web development. Then it struck me that Internshala also offered online trainings. I strolled through their course content, found it interesting, and enrolled for the training. My training was to begin in a week, so I spent some time googling the basics of web development and learnt the syntax and semantics. Reading the theoretical concepts was tedious, and I ended up learning almost nothing. The training commenced and I started with HTML and CSS simultaneously, watching all the videos comprehensively. The modules were short, simple, and descriptive enough to raise my interest in this domain. I progressed to the next module which was Bootstrap. Working on Bootstrap presented the real fun and it made me love coding. Once I had learned the concepts, I didn’t even need to write the complete code; I’d just add the class name and observe the magic! The next module was about SQL which I found comparatively difficult, but I guess it was made so to instigate critical thinking in students. The most challenging part was PHP since I didn’t even know what it meant. I was worried about linking backend and frontend development but all my doubts and worries were removed during this training. I appreciated how challenging the assignment for this section was. I had a lot of doubts and got stuck at numerous places. I had difficulty understanding the commands of PHP and needed help with the unavailability of images, errors in the codes, improper functioning of web pages, and my final project. I’d email them every time I needed support (28 times to be precise) and they would provide suggestions within a few hours. The support I received from team Internshala made me competent in web development in just 5 weeks and 4 days. At the end, I built a project on an e-commerce website in three days. This refreshed my mind and boosted my confidence. I enjoyed the training throughout and found it invaluable but had a few concerns such as a deeper knowledge could be provided and everyone should be offered similar discounts. I am currently developing a website for the DSW department of my college, working on both frontend and backend development. The website would consist of all the relevant student data such as tuition fee, hostel and mess charges, scholarships, insurances, etc. I would add a search bar to it in order to make the department’s job easier and use the same layout as that of the college website. The training had ended and it was time to further my career by getting a web development internship. I was familiar with the basics and had enhanced my coding skills via YouTube videos and a few more resources related to web designing. I started building various web pages. Within a few days, I updated my resume with the new skills and added my web pages to my GitHub profile. I applied to Sri Saradhi Foundation via Internshala and got shortlisted. I gave a telephonic interview wherein I was asked some real-time questions, my views on taking up a job, numerical problems, etc. After clearing this round, I advanced to the technical interview where I was supposed to design a webpage similar to the mailed format. Within five hours, I sent the code and got selected as a web development intern for six months. Internshala Trainings laid a strong foundation for my career and I owe this success to them. Inspired by Saurav’s review of Internshala Web Development training? Want to enhance your coding skills? Join Internshala Web Development Training today and get an additional discount of 10%. It’s great to hear this .Keep it up brro. How to use the windows how to set password windows 10 site is the page.